Researchers in South Korea have developed new technology that could enable 3D television and cinema to be viewed without glasses. The team, from Seoul National University, created a slatted barrier that is placed on the screen itself and creates the illusion of depth in the viewer’s perception. 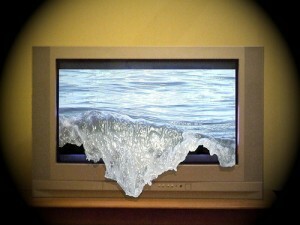 Previous attempts at making glasses-free 3D TV have made use of a similar technology, but they required the screen to be viewed from a certain angle. The South Korean researchers got around this problem by creating the slat effect using polarisers similar to those that feature in the lenses of 3D glasses. They claim their method uses less projector space and is cheaper than current 3D projection technology.